Ease of use and a compelling design that won’t break the budget. The Casio SR-C4500 electronic cash register is one of the latest additions to Casio’s ECR (electronic cash register) product line, and is the sister register to the popular Casio SR-S4000 electronic cash register which features an all-raised keyboard. 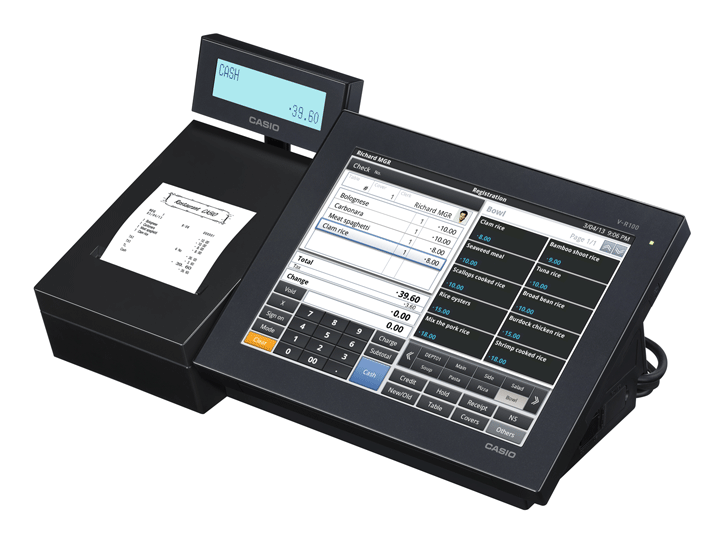 The Casio SR-C4500 10-line LCD makes every transaction easy to read and easy to understand for the cashier, which reduces the chance for human error. 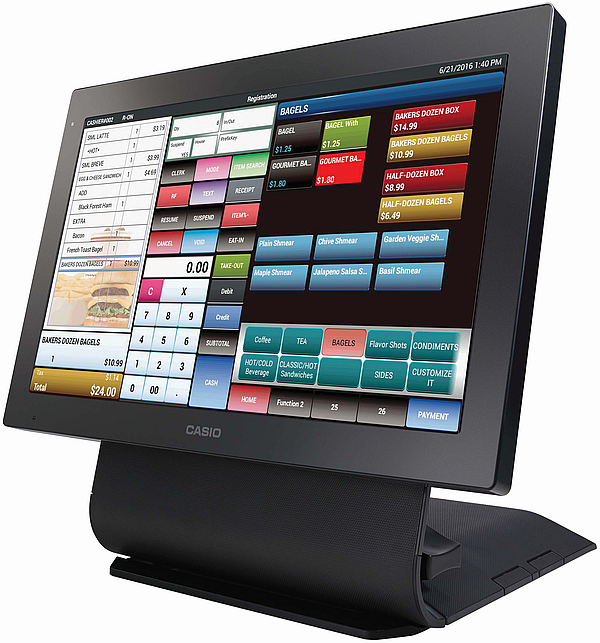 The operator display is so large that it can accommodate up to five line items as well as the transaction subtotal and the price of last item entered. The SR-C4500 also boasts a two line alpha-numeric pop-up rear customer display which is detailed enough to show the customer the name of the last item entered, the price and the transaction subtotal all at the same time. The Casio SR-C4500 cash register offers a hybrid keyboard – on the left a raised-key keyboard for the operator as well as a large flat keyboard (72 key positions) for departments or items (PLUs). 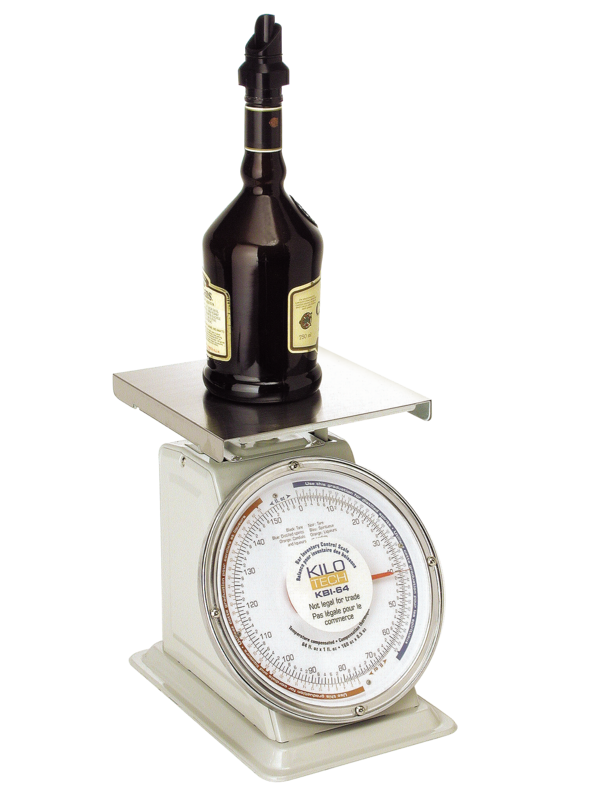 The large flat keyboard allows a merchant to have a lot of pre-set priced items – maybe even their whole menu – on the keyboard, which makes this register a perfect fit for small quick service restaurants, cafeterias, food trucks, snack bars, concession and take-out operations. The flat keyboard will accommodate those items deemed fast movers or frequently sold items allowing operators to speed up transaction times, while improving pricing accuracy. A guest check file is available for small hospitality operations that require the ability to store and recall detailed orders. 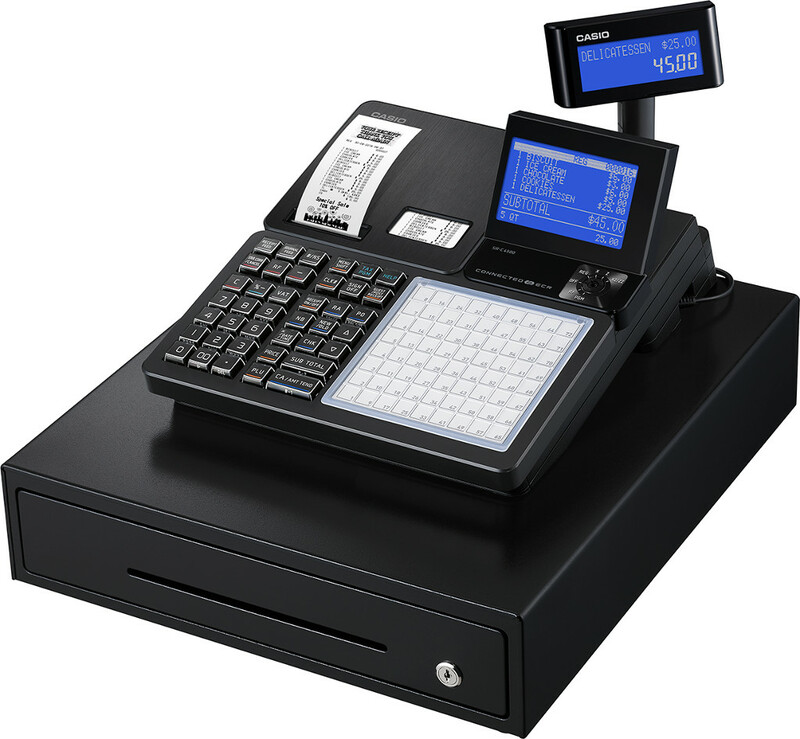 Like the Casio SR-S4000 cash register, an optional scanner can be connected to one of the two Casio SR-C4500 serial ports, allowing up to 3,000 items to be scanned, which is perfect for beverages, bags of chips, and impulse confection items located near the register. The Casio SR-C4500 comes equipped with a two station thermal receipt printer, that prints both a receipt for customers and a printed journal for the merchant’s records. The merchant may customize their receipts with a graphic logo and program messages for both the top and bottom of the receipt. The register also comes with a large steel 5-slot cash drawer and coin tray, which is large enough to accommodate Canadian bills as well as one and two dollar coins. 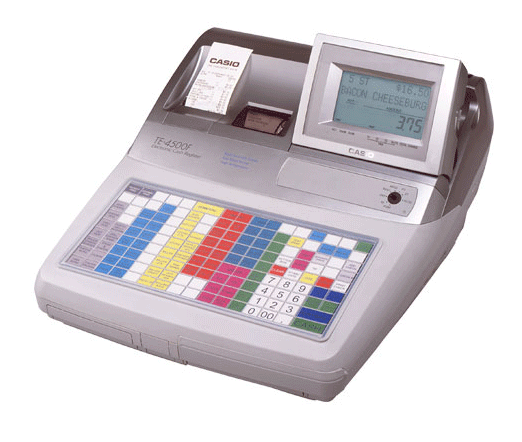 The Casio SR-C4500 is also compliant with HST and is capable of penny-rounding cash change in Canada. Integrated credit and debit is available in Canada with the Casio SR-C4500 electronic cash register, and provided by Global Payment Systems. Integrated credit and debit streamlines transactions, reduces human error, and reduces the potential for fraud and theft. Integrated payments on your Casio cash register will also reduce the time it takes a merchant to reconcile transactions at the end of the day, because electronic payments tend to be penny accurate when used and setup correctly.